Everyone dreams of shopping and owning high-end fashion and accessories at some point in their lives. I mean who doesn't want high quality pieces of clothing and accessories? That is where Modaym comes in. Modaym has been one of my sponsors for the past few weeks and they are an online boutique that sells high end, luxury fashion pieces. They feature up-and-coming brands, and they feature these pieces directly from the independent designers themselves. They even have a page featuring the designers and letting shoppers know a little bit about who the designers are and their stories. Not only can you read up on the designers, but you can contact the designers directly to see if they have something you want in stock or to get something CUSTOM-MADE directly from them! That is pretty awesome, that Modaym can connect you with designers directly like that. Modaym is also offering two ways to get discounts for Livin' and Lovin' Blog readers! Use the code "LovinModa" at checkout for 10% off your entire order, and create an account to get an additional $10 off your first purchase! They have everything from sculpture jewelry to knits, so be sure to check out Modaym for some great luxury pieces from independent designers! If you'd like to be featured on the blog or get shoutouts on social media like Modaym and others, visit my sponsor page for more info & use the code "HAPPYNEWYEAR" for $2 off any spot over $5! 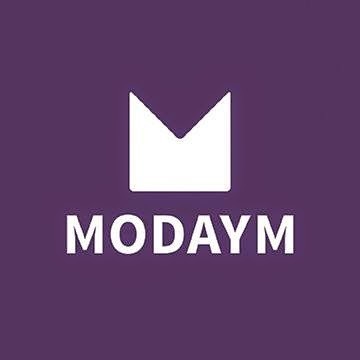 What's your favorite product from Modaym? How do you feel about shops supporting smaller, independent fashion designers? Woah! That is so awesome, it is so difficult to get custom-made by designers if you don't know where to look! Never heard of them before but they sound awesome! Checkin em out now!